Situated in North Kolkata, the institute has well furnished air-conditioned classrooms, equipped with latest audio visual training aids. Highly experienced teaching faculty, healthcare gurus and renowned specialist are the unique resources of the institute. Resources and faculty at the institute are reasons for the sustainability of the excellent reputation and profile the institute enjoys . They provide an efficient and effective support to students in pursuit of their academic excellence. The class rooms are spacious and designed to facilitate participative learning, equipped with necessary presentation facilities. In tune with the principle that no educational institution is complete without adequate facilities for practical training, the college provides extensive facilities. Laboratories are the best part of the institute. The Anatomy laboratory has an extensive variety of anatomical models, charts and viscera of different human organs for live demonstration and training. The physiology and biochemistry laboratories have all modern equipments and chemical-reagents for practical purposes. The library of the institute is well equipped with all latest editions of books associated with the subjects and also has a huge collection of national and international journals. 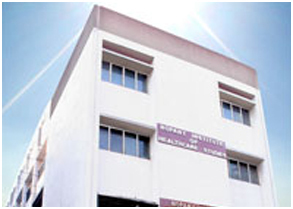 The college has its own 1200 sqft physiotherapy clinic equipped with all modern facilities. The clinic has both electrotherapy and exercise therapy departments and boasts of highly qualified and experienced physiotherapy teachers. There is a regular influx of patients and students are allotted to assist the trained therapists for their practical training purpose. The College have an Academic Collaboration with Calcutta National Medical College, Belle Vue Clinic, B.M.Birla Heart Research Centre and Spastic Society of India.